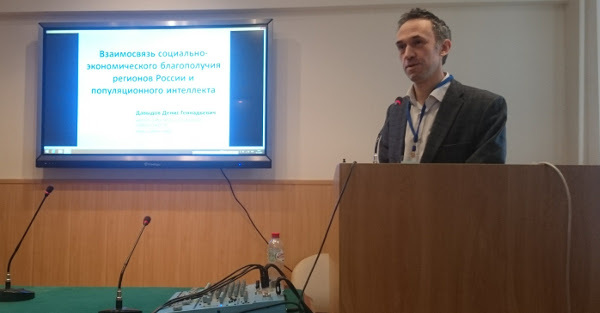 Just came back from a workshop on “Intelligence and Culture as Factors of National Competitiveness” organized by the Institute of Psychology RAS. This is a test on the Russian Defense Ministry’s website, where potential contract soldiers are offered to take an IQ test (30 questions, testing verbal, numerical, logical), and a couple of personality tests, to assess their suitability for military service (unfortunately, it doesn’t seem to give you your score, only a pass or a fail). Over the years 2012-2017, almost 250,000 Russians have done this test, possibly making this the largest source of regional psychometric data on Russia apart from the Unified State Exams (regional data about them is carefully secreted away). While people born between 1973 and 1987 performed at a stable 19.5-20/30, the post-1988 period saw a steady improvement towards an average score of 21/30. S.D. is around 6 points. Whether this is due to a Flynn effect or ageing isn’t clear. Only the top/bottom 5 regions were displayed, but they were exactly as expected. The difference between the best performers and worst performers was almost 1 S.D. So nice when new investigations continue building on stereotypes, especially n=250,000 investigations. Note that I have long thought Yaroslavl might have a high IQ. Incidentally, I am not surprised to see Yaroslavl being the top non-Baltic/non-capital Russian region by literacy rate in 1897. It struck me as by far the cleanest and most civilized provincial Russian town on the Golden Ring when I visited it in 2002 (a time when Russia was still shaking off the hangover of the Soviet collapse). Curiously enough, it also hosted one of the most vigorous insurrections against the Bolshevik regime in central Russia. Although it was not one of the regions covered by PISA, I would not be surprised if Yaroslavl oblast was to get a 100-102 score on it should it be carried out there (and as would be implied by the correlation curve). They also had the biggest percentage of Russian peasant families with passbooks (needed for savings accounts) in 1897 and 1913. The major disadvantage of this test that it selects for some degree of Internet proficiency (so also a mild sort of IQ test). No easy way to correct for this. The major advantage of it is that you can also get a good idea of the “patriotism” of different Russian regions by the percentage of their population who do these tests. The patriotism of the Buryats and Tuvans is also noted. This is not all that surprising – recall that Buryats had the highest percentage rate of military deaths in WW2 alongside Russians. In contrast, DICh – especially Chechnya and Ingushetia – are distinguished by their lack of patriotism. Saint-Petersburg was more patriotic than Moscow, as well as being more intelligent. Results were robust according to a variety of statistical checks. Several other people, including myself, made presentations. 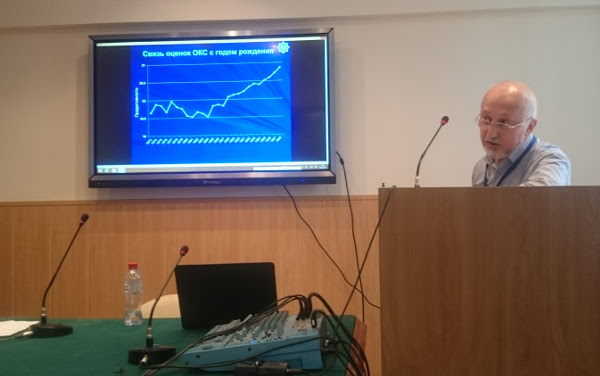 One, by Denis Davydov, was about a 19 region (n=4010) survey of 18-50 year old Russians with Raven’s tests carried out in 2005-2007. (For some reason, its detailed results remain unpublished – at the least, they don’t appear in Lynn’s or Becker’s database). They found no correlation with income, though I suspect the problem there is low sample + no adjustment for oil income. There was also a negative correlation with homicides, suicides, and alcohol consumption, which is of course unusual. My pet theory is that this is due to the Finno-Ugric admixture in northern Russia making them both more intelligent and more prone to alcohol abuse, with most homicides/suicides in Russia themselves being a function of alcohol abuse. 28 Comments to "Yaroslavl Brights, Buryat Patriots"
Interesting, though of course the voluntary nature of the test undermines its usefulness as a gauge of average intelligence. As for patriotism, are the figures adjusted for the regions’ population of the relevant age, or just overall population? That would significantly affect the results, and could rehabilitate the Caucasus republics. I noticed that no such age adjustment seemed to have been done in your May 9 post. Don't think it would help DICh much - they are much younger than ethnic Russians, and their diaspora outside DICh probably isn't enough to counteract that. Adjusting for age for the WW2 post would have taken much longer. The general picture is accurate enough. Interesting, though of course the voluntary nature of the test undermines its usefulness as a gauge of average intelligence. As for patriotism, are the figures adjusted for the regions' population of the relevant age, or just overall population? That would significantly affect the results, and could rehabilitate the Caucasus republics. I noticed that no such age adjustment seemed to have been done in your May 9 post. Don’t think it would help DICh much – they are much younger than ethnic Russians, and their diaspora outside DICh probably isn’t enough to counteract that. To be fair, it is not like the army wanted Chechens badly. Conscription in Chechnya was resumed in the autumn of 2014 after a 20-year pause. 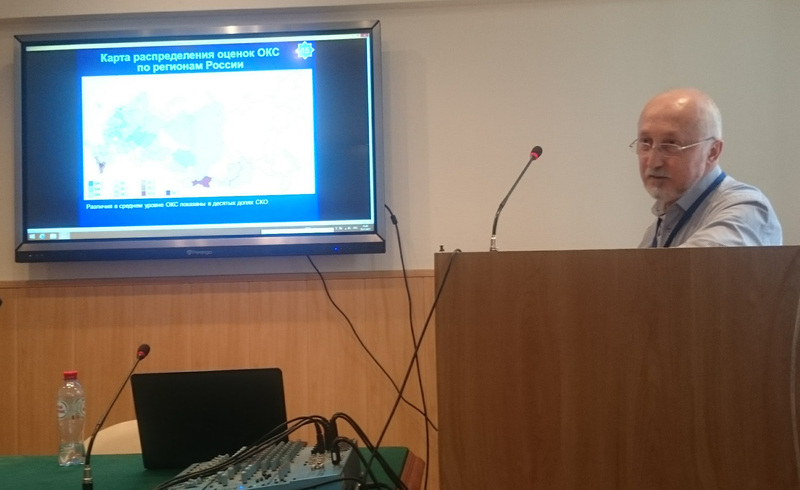 The first draft campaign in the Republic of Crimea and the city of Sebastopol was conducted on a trial basis in the spring of 2015. I think these are two different things - conscription is one thing, contract soldiering - and this test is aimed at them - is another thing. Another more relevant point might be that Chechnya is full of militarized structures anyway, I think they number around 20,000, which answer directly to Kadyrov. The default option for a Chechen interested in a military career (and I assume there are plenty of them) might to be join up with one of these groups. To be fair, aren’t Chechens quite patriotic— about Chechnya? Here is a working link for anyone else curious. In Dagestan to serve in the army, you must pay a bribe. In the “Russian” Russia potential recruits pay bribes not to serve in the army. Interesting, I haven't heard of this phenomenon. Any recommended sources on this? If this is the case it does raise the question of why Buryats search out this website and do its test and Dagestanis don't. Internet penetration in the N. Caucasus isn't particularly bad, so that probably isn't the issue. Not as adept in the Russian language? I think these are two different things – conscription is one thing, contract soldiering – and this test is aimed at them – is another thing. In Dagestan to serve in the army, you must pay a bribe. In the "Russian" Russia potential recruits pay bribes not to serve in the army. Interesting, I haven’t heard of this phenomenon. Any recommended sources on this? If this is the case it does raise the question of why Buryats search out this website and do its test and Dagestanis don’t. Internet penetration in the N. Caucasus isn’t particularly bad, so that probably isn’t the issue. Not as adept in the Russian language? Not as adept in the Russian language? In Dagestan, 50 native languages, but the lingua Franca is Russian. I skimmed the article. The authors make a case northern Russians female genetic contribution similar to modern Western Europeans, but male one is similar to Baltic-Finnic - pg. 50, clustered with Finns, Karelian Finns, Komi (a Finno-Ugric people), Vepsians, Latvians, Lithuanians, and Estonian people. All of these peoples other than Lithuanians and Latvians are Finnic peoples. Swedes, Nensti and Khanty are related but further apart that the previous ones. My studies of Russian never got much further than the alphabet so I can’t comment on the specifics of this article, but if the abstract is a good representation, their findings don’t refute what they claim to refute, not at all. Genetic closeness is not the same thing as descent. You can be genetically closest to Swedes while having 0 % Swedish ancestry. You can be genetically more distant from Finns than other European peoples while still having significant Finnic ancestry. In fact, if you took, say, 80 % Ukrainians and mixed them with 20 % Finns, the population would be closer to Swedes than to Finns in most genetic distance measures. The big thing about Finns and other Finno-Ugrians is that we have a significant East Asian component that is not shared with other Europeans *except* to some extent northern Scandinavianss and Russians who presumably have picked up their Mongoloid genes from Finnic admixture. This means that Finns are the most distant population from ALL other European peoples and in various measures of genetic distance you can often see everyone from Greeks, Englishmen, Poles, Frenchmen, Bulgarians, all of Europe closer to each other than to Finns who are the most distant from everyone. Finding out that Russians are more distant from Finns than from other European peoples is not a significant result and does not disprove Finnic admixture at all. 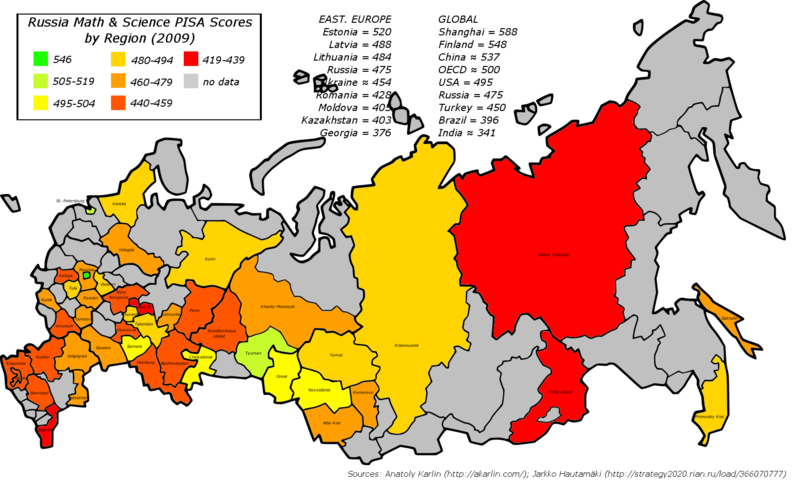 It is the expected result as long as Russians are mostly of non-Finno-Ugric European descent; the only way for Russians to be closest to Finns would be for them to be more Finnic than Slavic (and even then it’s not guaranteed because Finnic peoples are very diverse and we can’t be sure that Chudes, Muromians and other now russified Finno-Ugrians were actually even close to Finns to begin with). Core Slavs (Poles, Ukrainians etc) and core Germanics (Danes, north Germans, south Swedes etc) are much closer to each other than they are to Finns or other Finno-Ugric populations so if you assume that north Russians are made up of core Slavs with added Finnic admixture they’re completely expected to be genetically similar to any population made up of core Germanic people with Finnic admixture – like Swedes outside of their south. In any case, anyone claiming to disprove Finno-Ugric admixture in northern Russia has the problem of the Mongoloid component and they have to provide an alternative explanation because it sure didn’t come from Varangians or Mesolithic Europeans. Signatures like hapologroup N1c (clearly of East Asian origin) match Finno-Ugric and Turkic peoples but not Mongols; the geographic distribution is a perfect match for formerly Finno-Ugric areas already identified by linguists before genetics even existed and it’s a very bad match for steppe peoples who didn’t show up much in Vologda, Karelia, Arkhangelsk etc. I skimmed the article. The authors make a case northern Russians female genetic contribution similar to modern Western Europeans, but male one is similar to Baltic-Finnic – pg. 50, clustered with Finns, Karelian Finns, Komi (a Finno-Ugric people), Vepsians, Latvians, Lithuanians, and Estonian people. All of these peoples other than Lithuanians and Latvians are Finnic peoples. Swedes, Nensti and Khanty are related but further apart that the previous ones. It would be interesting to figure out where Tomsk is on the spectrum. According to the polymorphism of the Y chromosome (reflecting the paternal inheritance) all the population of the Arkhangelsk region consists of a broad “Northern” cluster with, Balts (Latvians and Lithuanians), Finnish-speaking peoples (Komi, Finns, Estonians, Karelians, Veps and Izhora) and German-speaking Swedes. The similarity of the Russian North with geographically distant Baltic States much stronger than with Finno-Ugric:…. According to mitochondrial DNA (reflecting maternal inheritance) Russian North finds affinity with an even broader array of peoples of the Northern half of Europe. Genetically the closest to the Russian North were the Norwegians and the Germans, the cluster also includes Austrians, Swiss, poles, Bosnians, Lithuanians, the Irish, the Scots…..Finnish – genetically most removed from the whole European area, and from the Russian North. This refutes the previously estimated an important contribution of the Finno-Ugric reservoir in the formation of the population of the Russian North..
1. The Y cluster is clearly with Finnic people, not with Germans (pg. 50). Only the haplotype cluster is with Germans. So the article statement you linked to contradicts the data from the same article (unless the excerpt you provided is form the section on maternal DNA). 2. See Jaako's comments on this. According to the polymorphism of the Y chromosome (reflecting the paternal inheritance) all the population of the Arkhangelsk region consists of a broad "Northern" cluster with, Balts (Latvians and Lithuanians), Finnish-speaking peoples (Komi, Finns, Estonians, Karelians, Veps and Izhora) and German-speaking Swedes. The similarity of the Russian North with geographically distant Baltic States much stronger than with Finno-Ugric:.... According to mitochondrial DNA (reflecting maternal inheritance) Russian North finds affinity with an even broader array of peoples of the Northern half of Europe. Genetically the closest to the Russian North were the Norwegians and the Germans, the cluster also includes Austrians, Swiss, poles, Bosnians, Lithuanians, the Irish, the Scots.....Finnish – genetically most removed from the whole European area, and from the Russian North. This refutes the previously estimated an important contribution of the Finno-Ugric reservoir in the formation of the population of the Russian North..
2. See Jaako’s comments on this. The study showed that from the paternal side "Northern Russians" are genetically close to the Balts, the Finns and Swedes. However, with the Balts (from the paternal side ) the genetic closeness are much stronger than with the Finns. From the maternal side "Northern Russian" genetically close to Norwegians and Germans. With the Finns (from the maternal side ) genetic similarity does not exist. That is, the Northern Russians are close to the Balts and the Germanic peoples, and the impact of Finno-Ugric peoples is not great. Because Finno-Ugric footprint among Northern Russian is extremely heterogeneous, it indicates a chronologically later contacts population (population originally not Finnish, and not Slavic) with Finnish peoples. The study showed that from the paternal side “Northern Russians” are genetically close to the Balts, the Finns and Swedes. However, with the Balts (from the paternal side ) the genetic closeness are much stronger than with the Finns. From the maternal side “Northern Russian” genetically close to Norwegians and Germans. With the Finns (from the maternal side ) genetic similarity does not exist. That's not what the chart on page 50 shows (I am assuming we are talking about the Finnic peoples not of Finland itself). The map on page 51 matches that chart. On the paper, page 49. N haplogroup is associated with Finnic peoples. Depending on particualre region, from 38% to 55% of northern Russians carry this Finnic haplogroup. So while the Russian male contribution isn't super close to that of the country Finland, it closely matches that of other Finnic peoples, in the Baltics and east of the Baltics. That’s not what the chart on page 50 shows (I am assuming we are talking about the Finnic peoples not of Finland itself). The map on page 51 matches that chart. So while the Russian male contribution isn’t super close to that of the country Finland, it closely matches that of other Finnic peoples, in the Baltics and east of the Baltics. "При этом сходство Русского Севера с ..балтами более выражено, чем с финно-уграми: оно характерно для каждой популяции Русского Севера, в то время как и степень сходства разных северно-русских популяций с финно-уграми, и спектр генетически сходных финноязычных народов оказывается различным. " On the charts on pages 50 and 48 (as well as on the map on page 51) this is shown. If you do not agree with the thesis of the article cited - refer to other research, or publish your own research. But you should not attribute the authors of the article the opposite of what they claim. On the charts on pages 50 and 48 (as well as on the map on page 51) this is shown. If you do not agree with the thesis of the article cited – refer to other research, or publish your own research. But you should not attribute the authors of the article the opposite of what they claim. What is shown - a lot of Finno-Ugric patenral ancestry - see the "N" haplogroup pecentage, very high, accounbting for 38% to 55% ancestry. I point out to the inconsistency between the words posted, and the data within the same article. Article contains clear evidence of high Finno-Ugric ancestry in the charts and map. Perhaps this discrepancy can be partially explained by the fact that Balts and Finno-Ugric are not necessarily different. Estonians are Balts, and Finno-Ugric. Latvians are Balts (and speak a Baltic language) but have considerable Finno-Ugric descent themselves, about as much as do northern Russians. Lithuanians less so than Latvians, but still a considerable amount. Virpi Laitinen, Päivi Lahermo, Pertti Sistonen, and Marja-Liisa Savontaus. "Y-chromosomal diversity suggests that Baltic males share common Finno-Ugric speaking forefathers." Human Heredity 53 (2002): pages 68-78. Y-DNA chromosome bialelic markers are similar between Latvians and Lithuanians and these two groups also have similarities in that respect with Estonians and Mari (Finno-Ugric peoples). So - to claim that there is paternal Baltic ancestry doesn't mean that there isn't paternal Finnic ancestry. Paternal Baltic ancestry is itself largely Finnic in origin. It means that Russians are more like Finnic people form Estonia than they are like Finnic people from Finland. What is shown – a lot of Finno-Ugric patenral ancestry – see the “N” haplogroup pecentage, very high, accounbting for 38% to 55% ancestry. Virpi Laitinen, Päivi Lahermo, Pertti Sistonen, and Marja-Liisa Savontaus. “Y-chromosomal diversity suggests that Baltic males share common Finno-Ugric speaking forefathers.” Human Heredity 53 (2002): pages 68-78. Y-DNA chromosome bialelic markers are similar between Latvians and Lithuanians and these two groups also have similarities in that respect with Estonians and Mari (Finno-Ugric peoples). So – to claim that there is paternal Baltic ancestry doesn’t mean that there isn’t paternal Finnic ancestry. Paternal Baltic ancestry is itself largely Finnic in origin. It means that Russians are more like Finnic people form Estonia than they are like Finnic people from Finland. Ie the scientists who study (Oleg Balanovsky, etc.) cannot understand the content of their own articles, but the AP (which skim the article) just get right into it and fixed bugs of stupid scientists. "This (genetic study) refutes the previously estimated as important contribution of the Finno-Ugric population in the formation of the population of the Russian North." Are you concerned about self-selection? Who are these people willing to take the contract and how representative are they of the population? And the chart on the paper, page 49, shows a very high percentage of N among northern Russians. The picture you posted was from maternal markers. We aren't discussing those. Chart page 48 is a circvle . See inside the circle? Who is there alongside the northern Russian groups? Balts plus Finno-Ugric Vepsians, Karelian Finns, Estonians, and Komis. The closest people to Vologdan Russians are Estonians. Finns themselves (from Finland) are outside the circle. So northern Russians are not close ot Finns, they are close to Estonians. Chart on page 50 - same thing. Vologda Russians - right next to Estonians. Arkh. Mirabel and Arkh. Krasnoborsk Russians - right next to Finno-Ugric Vepsians and Karelians. Arkh. Middle, Arkh. Roewer and Arkh. Mezen Russians - close to Latvians, Lithuanians and Komis (Finno-Ugrics). So charts clearly indicate one thing. Researchers claim something that the data doesn't show. I notice the paper is published in-house, it hasn't undergone a wider peer-review. The picture you posted was from maternal markers. We aren’t discussing those. Chart on page 50 – same thing. Vologda Russians – right next to Estonians. Arkh. Mirabel and Arkh. Krasnoborsk Russians – right next to Finno-Ugric Vepsians and Karelians. Arkh. Middle, Arkh. Roewer and Arkh. 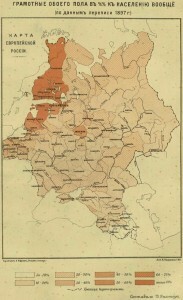 Mezen Russians – close to Latvians, Lithuanians and Komis (Finno-Ugrics). So charts clearly indicate one thing. Researchers claim something that the data doesn’t show. I notice the paper is published in-house, it hasn’t undergone a wider peer-review. THE NORTHERN RUSSIAN GENE POOL: SLAVS? FINNS? PALEOEUROPEANS? This study of the North Russian gene pool is dedicated to M.V. Lomonosov who always remembered his origin from Kholmogory of Arkhangelsk province. Though we are not able to analyze the gene pool of his descendants, we undertake the study of his fellow-townsmans, the present-day population of the Archangelsk province. First, we drew the detailed genetic portrait of the Russian North populations, using DNA-systems (Y chromosome, mitochondrial DNA, and autosomal markers) as well as surnames distribution data. Second we performed the panoramic comparison of the North Russian gene pool with the wide set of Russian and European populations. Russian colonization of the North was one of the main stages in ethnogenesis of the Russian ethnos, and many researchers believe that North Russians were formed not only by Russian migrants but mainly by the pre-Slavonic substratum of Finno-Ugric populations. Thus, the third task of this study is to achieve better understanding of the causes of the peculiarity of the Archangelsk population. The surname data shows that North Russian populations (including Kholmogory) belong to the general set of populations from the historical Russian area. The peculiarity of the North Russian surnames is clear but not outstanding: the average difference of surnames of North-Russian region from other regions (d=1.2) is similar to the difference of surnames of East-Russian region (d=1.1) and is less that the difference of surnames of Kuban Cossacks (d=1.6). The Y chromosomal data (reflecting the most differentiated paternal lineages) indicates that all populations from Archangelsk province are included in the vast “northern” cluster, along with Vologda Russians, Baltic speakers (Latvians and Lithuanians), Finnic speakers (Komi, Finns, Estonians, pooled group of Karels, Vepsa and Izhors) and Germanic speaking Swedes. Note, that North Russians are more genetically similar to geographically distant Baltic populations rather than to Finnic speakers: the similarity with Baltic populations was revealed for each North Russian population, while degree of similarity with Finnic speakers and set of similar Finnic populations do vary. The genetic similarity among linguistically heterogeneous but geographically united (from Baltic to Pechora) populations might indicate the Paleo-European gene pool persisting in this area, which preceded the split of the Balto-Slavic and Finnic linguistic branches. The mitochondrial DNA data (reflecting the maternal lineages) demonstrates the similarity of the Russian North to the widest set of populations from northern half of Europe. Norwegians and Germans appear to be the most genetically similar to the Russian North. The cluster also includes Austrians, Swiss, Poles, Bosnians, Lithuanians, Irish, and Scottish. The neighbor cluster is formed by other Russian populations, Swedes, Estonians, Latvians, Belorussians, Ukrainians, Czech, Slovaks, Hungarians. But the main corpus of Finnic speakers (Finns, Karelians, Komi, Mordvinians, Mari) is very distant from European populations and from Russian North, which rejects the (previously supposed) strong contribution of Finno-Ugric populations into the Northern Russians. The data on the (widely studied and highly polymorphic in Europe) autosomal marker CCR5del32 confirms this conclusion: the area of the regularly high frequencies covers populations of the northern half of Europe, stressing the pronounced genetic continuum, which includes also the Russian North. Note, that Finnic speakers have less number of ethnoses with high frequency of CCR5del32 than Germanic or Slavonic speakers. To conclude, the revealed similarity of the North Russian gene pool with gene pools of Central Europe and northern part of the East Europe allows to hypothesize that these areas (including the Russian North) preserved the ancient European gene pool, probably from Mesolithic times. This Paleo-European gene pool was transmitted to both, North Russian populations and to the part of Finnic speaking populations, settled on these areas earlier. The obtained results suggest that Paleo-European population of the North of East Europe, which gave rise also to Baltic and Germanic speaking groups, survived for a long time near the White sea and in the Early Medieval times underwent the strong influence of the northern Slavonic wave. That is why molecular genetic could now answer the question, which is in the title of this paper, as follows: “The North Russian gene pool = Paleo-Europeans + Northern wave of the Slavonic colonization”. This hypothesis does not contradict with paleoanthropological data but needs further verifications by both genetic and anthropological methods. "Но как раз эта грань, когда генетический вариант приравнивается к народу. То есть когда говорится, что один генетический вариант — главный, это как бы главный корень, главная нитка, которая нам всe расскажет. А все остальные как бы чужие нитки, которые потом вплелись в этот ковeр. Вот это не просто ненаучный, а действительно лженаучный, как бы теневой взгляд на ту же самую проблему. Как есть реальная картина мира, а есть некие пародии, "Дьявол — обезьяна Бога", вот такой подход, где вроде бы оперируют теми же самыми терминами, но упрощается до такой степени, что правда становится ложью"
"The data on the (widely studied and highly polymorphic in Europe) autosomal marker CCR5del32 confirms this conclusion: the area of the regularly high frequencies covers populations of the northern half of Europe, stressing the pronounced genetic continuum, which includes also the Russian North. Note, that Finnic speakers have less number of ethnoses with high frequency of CCR5del32 than Germanic or Slavonic speakers. " Why assume the main (or only) motive to enlist in army is patriotism (as opposed to money, adventure, travel to exotic places etc…)? How many American soldiers really volunteered only because they loved freedom, democracy and human rights and wanted to defend them all over the world? Why assume the main (or only) motive to enlist in army is patriotism (as opposed to money, adventure, travel to exotic places etc…)? Of course it is. People in poor agricultural regions tend to get into the army (this is the reason of their patriotism). In Dagestan is also important extreme love of the population to the status of warriors. Why assume the main (or only) motive to enlist in army is patriotism (as opposed to money, adventure, travel to exotic places etc...)? How many American soldiers really volunteered only because they loved freedom, democracy and human rights and wanted to defend them all over the world? Model one, early medieval slavs intrude into the forest zone and trade with the Finns until they are outnumbered. North Russian women should have Finnish affinities (although as usual Euro women are not very differentiated). This is the usual view. Model two, Finns establish elite class over Slavic population. Finnish males outproduce Slavic ones. No strong archaeology or history for this. Model Three, Finns conquer slavs escaping North from autocracy, kill males and old women. Take young women. Zero archaeology or history for this. Model Four. Scandanogs sell Slavic women to Finns as slaves until model one takes over. Vikings will do what Vikings do. All these models are nonsense in the light of genetic studies (the excerpt I quoted above). If we invent fantastic theories based on the study of the genome, it turns out that the Balts beats the Norwegian Vikings, robbed from the Vikings Norwegian girls, and then settled (with their Vikings concubines) near the white sea, adopting Slavic language and mingling with the Finnish tribes. Another version: girls of the Norwegian Vikings (in the absence of Boyfriends, employed in raids) fell in love with the Balts and fled with them to the white sea, adopting Slavic language and mingling with the Finnish tribes. You realize that contract soldiers make decent wages by Russian provincials measure, right? So “patriotism” is just one possible explanation for taking the tests, in addition to low regional prosperity, high unemployment rates, etc. Although the Caucasus results seem strange, given their constant struggle to send more conscripts (since serving in the army is said to be highly prestigious there) and highest unemployment rates in the nation.